Sometimes she feels like AUT chose her, says PhD student Deborah Heke. After completing bachelor's and master’s degrees in health science, as well as a certificate in personal training and fitness instruction, Deborah is now studying a Doctor of Philosophy in Māori health. For her doctoral research, Deborah is focusing on physical activity and wāhine Māori. 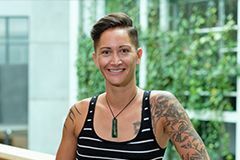 “By identifying key factors aligned with physical activity behaviours in Māori women and linking them with a Māori worldview, this study will help to broaden the understanding of physical activity as a means of engaging with our tupuna, environmental spaces, and continuing whakapapa in a meaningful and mana-enhancing way. Deborah’s research is supervised by Dr Isaac Warbrick, the co-director of Taupua Waiora Centre for Māori Health Research, who has already supervised her master’s thesis. 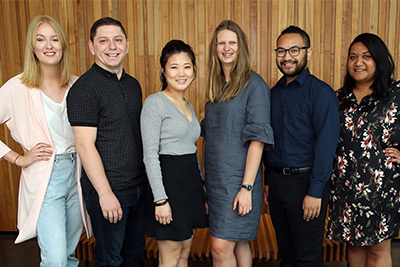 Her experiences at AUT have ranged from being a naïve young student with little idea of where she was going to becoming a determined researcher, Deborah says. “I’ve enjoyed the journey to and from these phases, and all those in between. AUT has supported and inspired each of those phases in a way that keeps me coming back. She would highly recommend postgraduate study in Māori health, Deborah says.